With the emerging utility of IPv6 in traditional networks, web applications are adapting to support both IPv4 and IPv6 requests. The network infrastructure is expected to process client requests originating from IPv4 and/or IPv6 based devices. Server clustering along with server load balancing has emerged as a promising technique to build scalable web servers. Starting with 18.1.1 release, Avi Vantage provides full IPv6, and dual-stack IPv4 and IPv6 connectivity to the load balancing network without relying on any tunnelling solutions. Figure 1 refers to generic use cases for IPv6 support. IPv6 is supported on baremetal, VMware vCenter, Linux server cloud, and OpenStack clouds. The support for Azure, AWS, OpenShift, GCP, and Kubernetes will be introduced soon. 1 Auto Gateway Create a Virtual Service Auto Gateway is supported for IPv6 clients. Advertising dual-stack virtual service over dual-stack peers only. Supported on baremetal and VMware no-access clouds. 3 DHCP Default Gateway (IP Routing on Avi SE) DHCP and static addressing (SLAAC) are supported on VMware and OpenStack clouds. 4 DNS Avi DNS Architecture and Features Sending statically configured A or AAAA records over both IPv4 and IPv6 transports are supported. 5 Health Monitor Health Monitor Profile ICMP, TCP, UDP, and HTTP health monitors are supported. 6 Infra-IPAM-Internal-IPAM IPAM Provider (Avi Vantage) IPv6 IP allocation and VIP modification for dual-stack are supported on Avi internal IPAM. VIP and pool server changes in IPv6 networks are supported by the network manager. 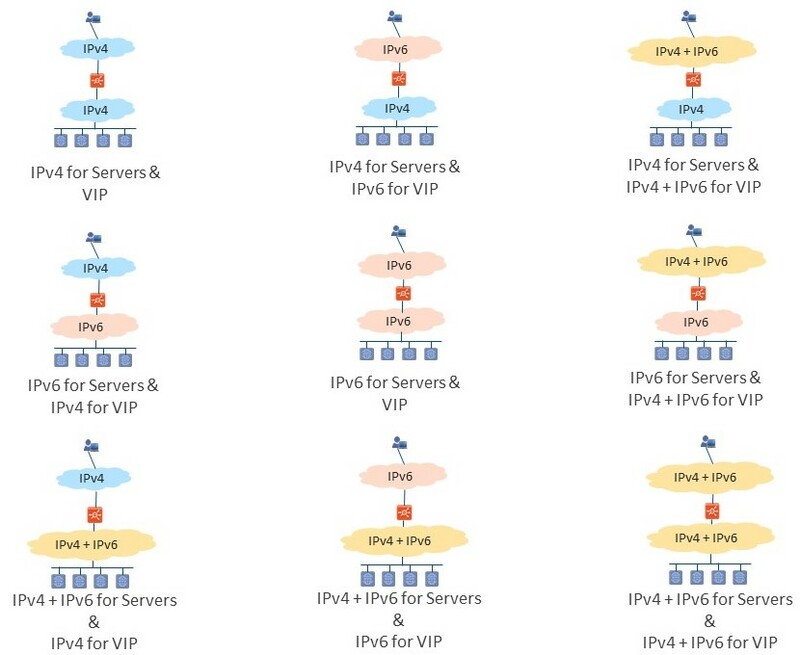 7 IPAM and DNS IPAM and DNS Support IPv6 unified IPAM logic changes to call cloud connector APIs and Avi Vantage DNS AAAA record are supported. Configuring pure IPv6 virtual service and dual-stack virtual service are supported. Configuring IPv6 servers and pools with a combination of IPv4 and IPv6 servers are supported. TCP-Fast-Path is not supported in System-L4-Application profile. 9 Layer 7 Policies HTTP Request Policy HTTP policy engine handles both IPv4 and IPv6 addresses. 10 Network Security Policies Virtual Service Policies Layer 4 UDP, Layer 4 TCP, and Layer 7 virtual services are supported for network security policy. 11 Packet Capture Packet Capture Virtual service and Service Engine packet captures are supported. 12 Persistence Persistence Profile Client-IP based persistence for all application profiles is supported. Cookies and TLS based persistence is supported as well. 13 Port Channel and VLAN Port Channeling on Linux Server Hosts Port channel and VLAN are supported on baremetal. 14 Scale out Virtual Service Scaling Native Layer 2 scale out with MACinMAC and IP encapsulation is supported. Virtual service heartbeats and flow-probes are also supported. 15 XFF and Connection Multiplexing X-Forwarded-For Header Insertion X-Forwarded-For and connection multiplexing are supported for System-HTTP.